Ahead of the 2016 Six Nations, Bath head coach Mike Ford has recommended young prop duo Henry Thomas and Nick Auterac to new England boss Eddie Jones. The Australian has been up and down the country over the past two weeks watching major games as he puts together his first England squad. Jones and Ford met at Bath’s training ground on Friday to discuss the players currently in the squad and those who could make a breakthrough over the next month. George Ford, Jonathan Joseph, Anthony Watson, Dave Atwood, Dave Wilson and Rob Webber have all been part of the England squad over the past three-years and now two of the brightest prospects could make the step up to the senior squad. The young pair have been earning rave reviews this season after some fine displays. In the modern game where props not only have to scrummage but carry and tackle, these two definitely fit that mould. 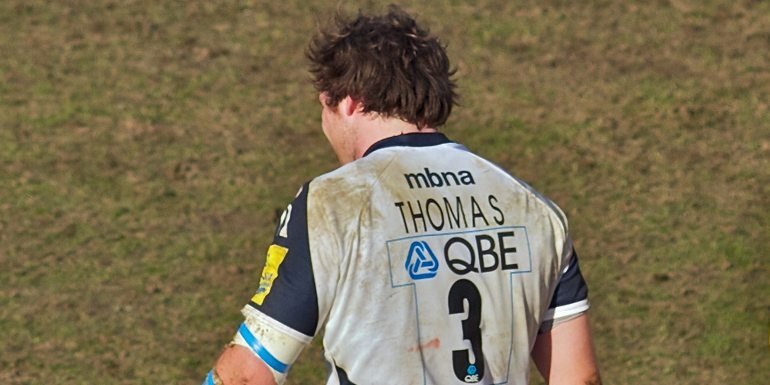 Thomas has already won seven England caps as a tight-head and will now looking be looking to push on, while Auterac is still without a cap. But there is no doubt that if they continue with this level of performance they will feature in the 2016 Six Nations. One player who will not be part of Eddie Jones’s Six Nations campaign is prop Alex Corbisiero. On his day he is one of the world’s premier loosehead props as he demonstrated on the 2013 British Lions tour when he was one of the key players in the 2-1 series victory over Australia. Since then his career has been blighted by numerous knee and shoulder injuries, just last week he underwent surgery for another knee problem which is likely to rule him out of the 2016 Six Nations. However the Northampton star has announced that he will take a 12-month sabbatical from rugby at the end of the current season. The 27-year-old said “It is a decision that I feel is necessary if, in the longer term, I’m going to be the player I want to be. It is way more mental than physical. “It’s no secret I’ve had a number of injuries and there’s been some frustrating times. But mentally I am drained and I’m really looking forward to some time away from the game. Please click here if you are interested in our Twickenham hospitality packages for the 2016 Six Nations.